Bayview Gallery represents the best land and sea painters of Maine, long known the world over for fine paintings. Painters have come to Maine for centuries to capture its beauty and to paint the light so special in this land. While all our artists do not live in Maine, those "from away" travel here throughout the year to paint this idyllic landscape. Click on the name or image for currently available work and information about each artist. Thomas Adkins Subtle in color and strong in mood, the paintings of Thomas Adkins are characterized by the thoughtful process of composition using natural and man-made elements to evoke a true sense of place. Gordon Allen Gordon Allen grew up loving art and the outdoors. By age twenty he was illustrating books in the sporting genre for New York publishers. An admirer of the etchings of Rembrandt, Allen learned that skill and continues to produce sporting themed images in this medium. Barbara Applegate Inspired by the early American impressionists, Barbara Applegate paints the Maine coast, its villages and harbors and the foothills beyond. Her warm colors and classic design capture memories and evoke nostalgic moments in the life of the viewer. Julie Babb Julie Babb, born in New York City, was raised in Mexico City where her initial love of nature took hold. In the warm climate of Central America, she was surrounded with birds, animals and flowers year round which influence her artwork today. After years of honing her skill in classical drawing and color theory, Julie shows her work widely, as well as teaches art classes in her community on the Mid Coast. 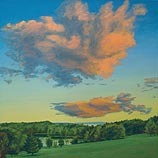 Harley Bartlett A Copley Society Artist since 2004, Harley Bartlett honors the late 19th - early 20th century American School of Beaux-Arts. Bartlett approaches his subject matter with careful regard and artistic vigor. Mariella Bisson graduated with honors from Pratt Institute. Working with collage, gouache, watercolor, graphite and charcoal, Bisson creates sublime mixed-media works which interpret the landscape through emotional and spiritual sensibilities. Vern Broe: Marine Paintings Vern Broe’s (1930-2011) work has appeared in American Artist and other magazines, including three covers for Yankee. Broe, a noted marine artist, studied at the American Academy of Art and later attended the University of Illinois, Chicago’s Institute of Design, and the San Francisco Art Institute. Leo Brooks (1910-1993) Having called Monhegan Island his summer home, Leo Brooks is not a naif painter: his fresh watercolors have bounding energy and uncorrected directness many strive for and rarely achieve. After retiring from the NewYork Times he studied watercolor with Mario Cooper at the Arts Student League of New York and exhibited at Mamaroneck Artists Guild, the Salmagundi Club and Hudson River Contemporary Arts. Derryll Brudzinski Master ceramacist Derryl Brudzinski transforms the raw materials of the earth into symbols of the forces of nature. Roughhewn texture blends with expressive color tempered by the mysteries of fire to create meditative pieces that delicately balance the utility of a vessel with the sensation of an abstract painting. John Caggiano Born in Brooklyn, John Caggiano has lived on Cape Ann since for more than 30 years. He travels extensively, usually painting on location. This plein air approach enables him to capture the essence of time and place. His paintings are further enhanced by the skillful use of a palette knife, enriching the effects of his brushwork. Robert Colburn Maine painter Robert Colburn combines traditional painting techniques with a contemporary vision to produce vibrant paintings that recall the works of Edward Hopper and Fairfield Porter. 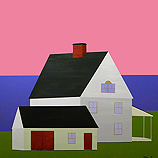 Balancing color, form, and line, Colburn strives to make the oft-painted landscape of New England fresh and new. Ray Crane A graduate of the School of the Boston Museum of Fine Arts, Ray Crane has been a professional artist for more than 30 years. His work has been exhibited in museums and galleries throughout the US including the Smithsonian Institution. Arnold Desmarais A graduate of the Rhode Island School of Design, Arnold Desmarais' paintings are narratives that tell stories from a life time living by the sea. Luminous and lovely, his images derive their beauty from the soft touch of the brush and a warm palette. Ron Di Scenza Born in Ohio, Ron Di Scenza earned his Bachelor's of Fine Arts degree from the School of Visual Arts in Manhattan. Now a resident of Molise, Italy for over twenty years, Ron shows us that he is continually intrigued and inspired by Italy’s ‘golden light and warm colors’ as well as 'universal traits of humanity that span the centuries', which he gracefully depicts in his subjects. Laura Eden With paintings meant to trigger daydreams, Laura Eden's egg temperas recall a familiar feeling of place, giving the viewer a more intimate, yet, exaggerated perspective. Tim Gaydos A master pastelist of the Pastel Society of America since 1987, as well as an accomplished painter in oils and acrylics, Tim Gaydos has had solo exhibitions at The Montclair Art Museum, The Bergen Museum and the University of Maine and has received more than 200 awards in his career. Joseph Genova Joseph Genova’s paintings are luxurious studies of texture, light, pattern and form. Close up details of fine fabric and light filled interiors create a mood of sophisticated elegance while exploring formalist concerns about structure and composition in painting. 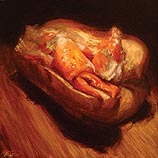 Louis Guarnaccia The marine art of Louis Guarnaccia has garnered critical acclaim throught the Northeast and the world. A member of the American Society of Marine Artists, the Portrait Society of America and the Salmagundi Club of New York City, Louis' painitngs capture the dynamic motion, color,and drama of sea and sail. Suzanne Harden The vibrant palette of Suzanne Harden is reminiscent of the great French impressionists, Matisse and Cezanne. 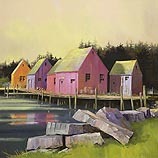 A former teacher of gifted and talented high school students, Harden paints the small villages along the Maine coast. William Hays William Hays takes the simplicity of linoleum block printing to new levels with his beautiful and complex prints. Each of Hays’ prints unfolds, color by color into a layered mosaic of carved shapes, carefully fitted into a composition that conjures a sense of mood and place dear to the heart of the artist. Tom Hughes After spending many years working entirely on location in every kind of weather, Boston native Tom Hughes has developed a omprehensive and flexible set of mental references from which he can draw as he paints many of his landscapes and seascapes solely from sketches and memory. Yet, from time to time, he returns to New England from his California studio to gather fresh material and renewed inspiration. Marieluise Hutchinson Copley Master, Marieluise Hutchinson spent her formative years in a bucolic 1820's homestead on the South Shore of Boston. She now divides her time between Yarmouth Port on Cape Cod and Cushing, Maine. Her work has a tone of thoughtfulness and solitude, and it is by a synthesis of these experiences that her work captures the quintessential simplicity and beauty of America. 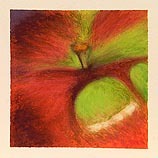 Her work is held in museum and private collections throughout New England. Loretta Krupinski Author, Illustrator and American Society of Marine Artists Fellow, Loretta Krupinski is well known for her beautiful depictions of the Maine coast, the classic schooners that ply the waters along it, and for her large body of historically based paintings of Maine coastal industry. Jon Allan Marshall Jon Allan Marshall describes himself, modestly, as a regional painter very conscious of his New England roots. One can easily note his debt to the great Dutch masters of the 17th Century. He proves that the powers of perception that the Dutch developed to the highest peak of perfection are infinitely transposeable and that there is no end to their profitable application in new settings and locales. B Millner Coming to sculpture later in life, B Milner says, " My sculptures derive from a variety of sources— Aside from a rough division between human figures and wildlife, my sculptures don’t lend themselves to categorization—I sculpt what appeals to me and moves me ". Kevin Mizner Kevin Mizner’s "Americana" series stem from his love of history, and the timelessness of the Maine landscape. His desire is to show people caught in the motion of living on and working the land. He hopes these paintings serve as a reminder that we can still do for ourselves and each other with our own hands and a little sweat on our brows. Scott Moore Contemporary impressionist Scott Moore lives, explores and paints the woods and coast of Maine. An avid canoeist and cross-country skier, his work reflects his deep love of nature. His bold, brushy paintings are the prize of many individuals and a number of corporate collections. Donald Mosher (1945 - 2014) A descendant of shipbuilders and farmers of Nova Scotia and Maine, Don Mosher was drawn to the power of the sea and the tranquility of the New England countryside. A plein air master, Mosher visited Maine often to capture its beauty. Charles Movalli (1945 - 2016) “Simplification” and “expression” are the watchwords of Movalli’s paintings. Starting with strong design and compositional elements, Charles is then free to allow exuberant brushwork and bold color to contribute their own unique voices on the canvas. In addition to painting, Movalli is a scholar and writer about the arts. His seminal works on Emile Gruppe and other significant Cape Ann painters for American Artist Magazine helped define the contributions to painting by these important regional artists. Wendy Newcomb Finding solace in nature with “the promise of life and harmony”, Wendy A. Newcomb's (Sebago, Maine) palette conveys the magnetism of the environment; the colors are true to what she sees yet they hold a special vibrancy achieved by not only her understanding of color theory, but also her passion for what surrounds her. Stefan Pastuhov Descended from Russian grandparents who fled to America in 1917, Stefan Pastuhov is a devoted outdoor sportsman and a plein air artist whose paintings capture the landscape he loves. Phyllis Purves-Smith The daughter of musicians, Phyllis attributes her sensitivity to rhythm and structure in nature to her early exposure to music. She has taught extensively at the university level in both Manhattan and Philadelphia. In recent years, Phyllis has spent summers painting on Monhegan. Dale Ratcliff Gloucester, Massachusetts artist Dale Ratcliff travels throughout New England, from the mountains to the coast. Ratcliff's paintings capture her subject in bold, expressive strokes which imbue her canvases with the power and energy of the sea or the fleeting effects of light in the landscape. Sergio Roffo Italian-born artist, Sergio Roffo, born in 1953, has been inspired by the work of such American traditional painters as George Innes and Albert Bierstadt. Roffo’s paintings of coastal landscapes reveal a luminous quality achieved through the technique of glazing and layering practiced by early American landscape painters. Helen Rundell Long Island native Helen Rundell, who has lived in Maine for more than a decade, is perhaps one of America's finest realist painters. Whether landscape or still life, Helen combines a thorough knowledge of her subjects with exacting technical ability to produce truly remarkable paintings. Jeffrey Sabol The serenity of Jeff’s paintings transports the viewer to a place of quiet reflection. His work draws inspiration from his formal training in architecture, as well as countless hours spent on the water, both as a commercial fisherman and a recreational sailor. As a Signature Member of the prestigious American Society of Marine Artists (ASMA), Jeff has broadly exhibited his maritime paintings. John Stass Formerly a designer of custom furniture, John Stass created lines for well established and often celebrity-clientele worldwide. Once again an independent artist, John paints acrylic on canvas, as well as creates sculpture using various media sculpting primarily in wood. James Wolford James Wolford frequently paints intimate portraits of rural, urban and coastal subjects, capturing the subtleties and intensities of light that exists for only a short period of time in the morning or late afternoon. His paintings evoke a strong sense of place and he often takes subjects considered mundane and transforms them by capturing their inherent beauty. Andrew and Jamie Wyeth Legendary American painter Andrew Wyeth passed away in 2009 leaving behind some of the most endearing images of his life in Maine and Pennsylvania. His son, Jamie, continues this remarkable family’s artistic legacy. We are proud to offer a selection of limited edition, signed, and signed limited edition prints by both artists. Each print is elegantly framed to conservation standards. Doug Zider Turning to water for true inspiration, Doug Zider has studied plein air and composition painting. By applying field techniques to studio work, he relies on his eye and the understanding of nature's purposeful way to guide his artistry.